Saturday, August 25, 10:30am LIVE! Over the course of a year, journey with the people and animals of the Kimberley region in North West Australia: a vast, rugged and remote wilderness, bursting with character. 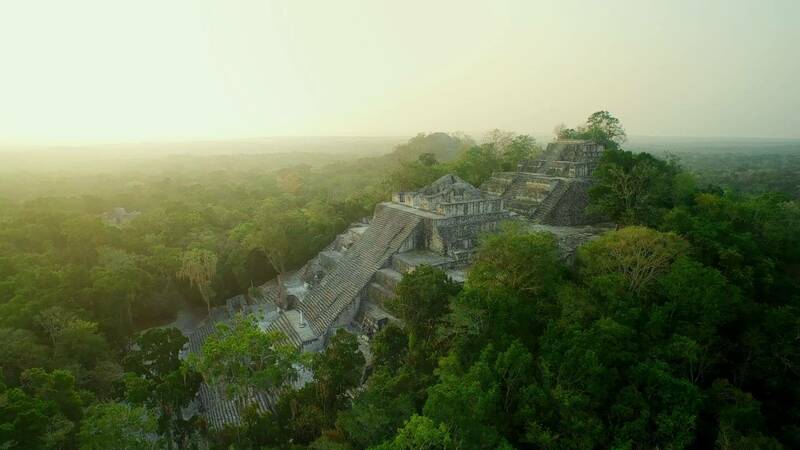 Travel south along Mexico's mountain spine, explore the tropical forests of the Maya, and journey across the deserts of northern Mexico to discover its amazing wildlife and culture. Before James Last and Andre Rieu, there was Mantovani - the most successful orchestra leader of the 20th century. Known for his Italian charm and cascading strings, Mantovani was the first artists to record and sell over a million stereo albums with hits such as Charmaine and Moulin Rouge; and for nearly 20 years his orchestra toured America and Canada to sell-out audiences. The story of his incredible life and success is captured in the new documentary: MANTOVANI: KING OF STRINGS. Downhill from Here is a concert performance video by the Grateful Dead. It was recorded at Alpine Valley Music Theatre, near East Troy, Wisconsin, in July 1989. Grammy-winning artist Dionne Warwick has achieved legendary status worldwide with an unparalleled string of hits from the 1960s through the 1980s that remain popular among audiences of all ages today. Beginning with her debut single, "Don't Make Me Over," Dionne became a pop-soul powerhouse, demonstrating a remarkable range of emotions with dozens of further song standards written and produced by Burt Bacharach and Hal David such as "Walk On By," "I Say A Little Prayer" and "I'll Never Fall In Love Again." She enjoyed a renaissance a decade later and continues to perform the world over. Known for its picturesque lakes, the mountains of Greece come alive with the sounds of Pavlo's mediterranean guitar music. International recording artist PAVLO returns to Greece for a spectacular concert featuring old favorites and new classics. Pavlo has thrilled audiences throughout the United States and Canada where he was named TOURING ARTIST OF THE YEAR. He has been nominated for several JUNO AWARDS for unique world guitar music, performed for PRINCE CHARLES, and most recently was the headline artist at the WORLD MUSIC stage at the closing of the PAN AMERICAN GAMES in Toronto. This one hour public television special features Pavlo's greatest hits including "Cafe Kastoria" and "Santorini Sunset" as well as loved classics "Never On Sunday", Gordon Lightfoot's "If You Could Read My Mind", "Zorba" and "Acropolis Adieu." Pavlo is joined on the stage by guest stars G. Pinto and Remigio Pereira from the THE TENORS, who sings and performs on guitar. What does it take to relocate a herd of wild giraffes in Africa? One man, his family, and a band of enthusiastic helpers are about to find out. Their journey will take them across the wild heart of Uganda, crossing the mighty Nile River. The size of this operation cannot be underestimated, particularly when your cargo is so precious. That's because these are no ordinary giraffes, they are in fact the world's rarest. Any mistake could be costly, not only for the giraffes being moved but also for an entire species. Discover the story of these brave servicemen and women who fought for equality and tolerance around the world. Featuring new interviews with Mel Brooks, Carl Reiner, Henry Kissinger, the late Bea Cohen and others. Wings Over Grand Canyon presents a revealing look at something we all thought we knew well. Where the journey is the adventure, 'Wings' expands a viewers' vision of what we think of as the Grand Canyon. Following the Colorado River from Castle Valley in Utah to the Grand Canyon in Arizona and Lake Mead in Nevada, the aerial journey covers over a thousand air miles to capture an endless variety of stunning imagery. 'Wings' reveals high alpine forests, spectacular lakes and secret canyons. Experience Canyonlands National Park, Arches National Park, Glen Canyon National Recreation Area, Lake Powell, the Little Colorado River Gorge and the ultimate, the Grand Canyon National Park itself. The film transports the viewer into landscapes of magic and mystery, many seen this way for the first time. Winging over regions where few are allowed to fly, the aerial team reveals amazing Lake Powell, known as the world's most beautiful lake, with its 2000 miles of breathtaking shoreline, islands & channels. We then soar above the stunning Marble Canyon, a giant crack in the Earth, where it then enters the South Rim region, the grandest and most well-known part of the Grand Canyon, for an unprecedented look at this most-famous national treasure. The film takes us 5000 feet deep into the Little Colorado River George. Revealing a secret river of magical beauty for a remarkable, uninterrupted flight sequence, through one of the most beautiful places on Earth. Climbing high to get above the North Rim, Wings Over Grand Canyon reveals astonishingly different landscapes of green forests and lush valleys. Since the release of his 2004 critically acclaimed CD When I Fall In Love, Chris Botti has become the biggest-selling American instrumental artist. His success has crossed over to audiences usually reserved for pop music and his ongoing association with PBS has led to four #1 jazz albums, as well as multiple Gold, Platinum and Grammy Awards. Most recently, his latest album Impressions won the GRAMMY Award for Best Pop Instrumental Album. Performing worldwide and selling more than four million albums, Botti has found a form of creative expression that begins in jazz and expands beyond the limits of any single genre. Carole King has, in the span of her almost 60-year career, defined herself as one of the most prolific and preeminent songwriters of her generation. Her breakthrough album Tapestry broke records and stayed on the US charts for six years; since then, she has gone on to win four Grammy awards and become widely known and accepted as the most successful female songwriter of the second half of the 20th century. In the summer of 2016 at the iconic annual Summer Festival at Hyde Park in London, King performed Tapestry in its entirety. Songs include "I Feel the Earth Move", "So Far Away ", "It's Too Late", and "You've Got A Friend".